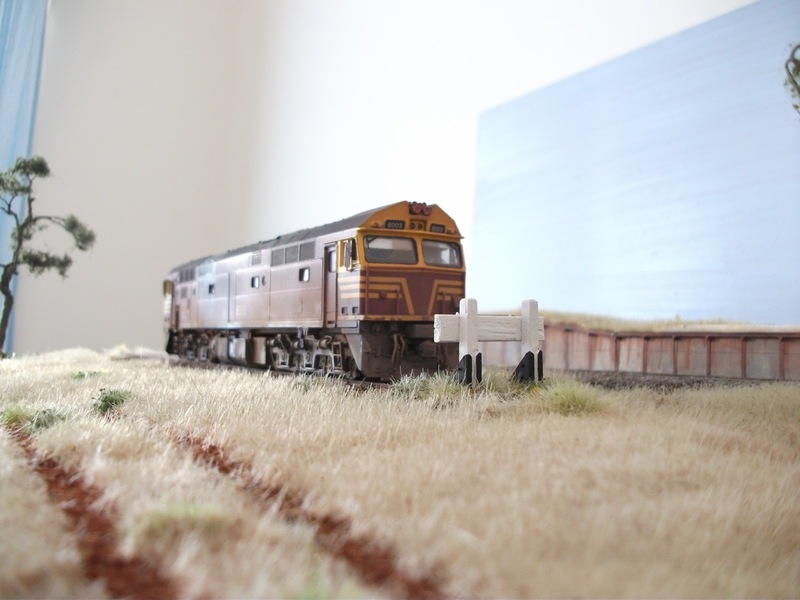 The Musings of a NSW modeler...: Technology? So I had yesterday off work, as I do all Mondays but this Monday was a little different, firstly I had uncapped enthusiasm for doing some modelling which involved doing a lot of customer work, and a little something for myself! 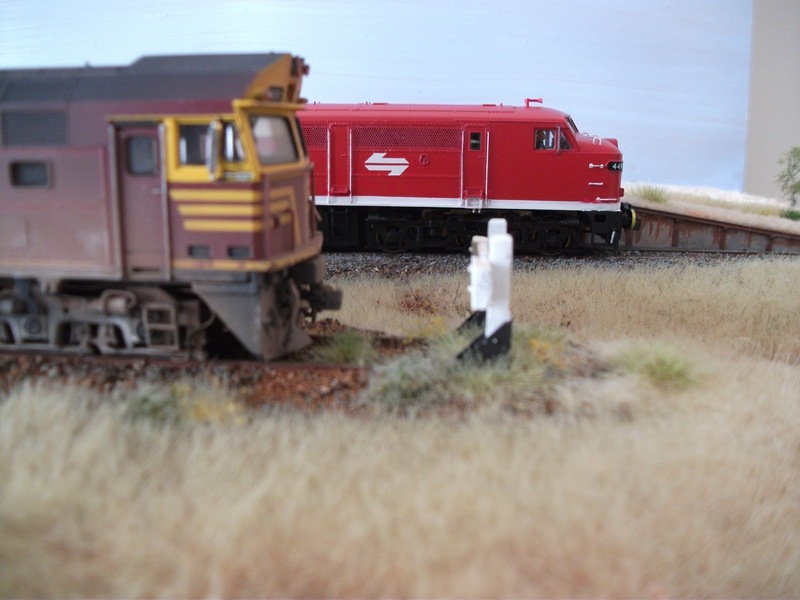 I was at the Shoalhaven Model Railway Club Meet on Saturday where it was announced that the annual Modelling competition was starting. 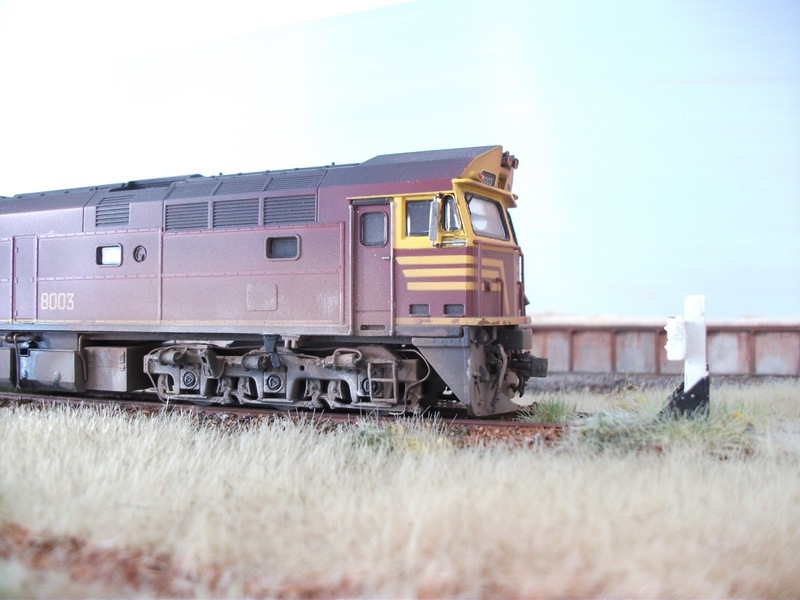 A competition where you could enter as many models be they kits, kit bashed rtr's, buildings, structures dioramas or a combination of them all and need to be entered by the AGM later in the year. SO this obviously gave me a lot of inspiration to complete some of my own bits and pieces. 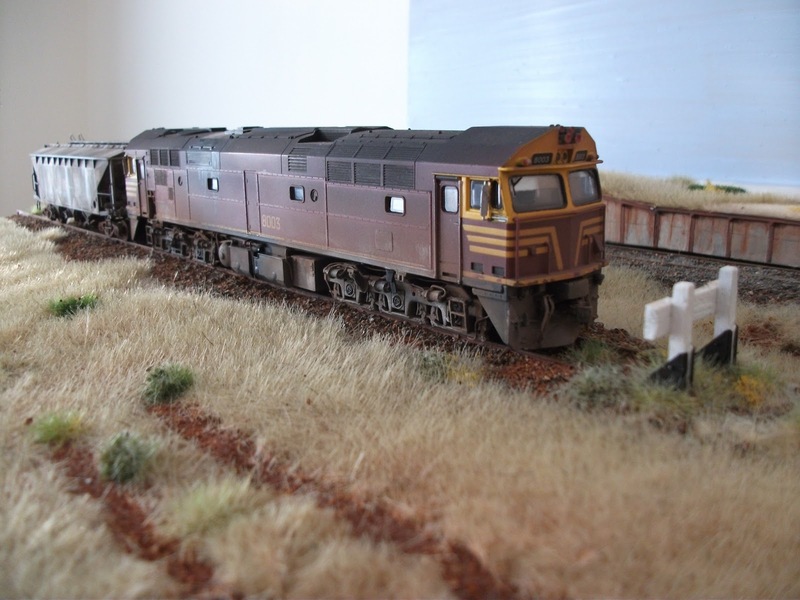 For a long time now I've wanted/needed a small display diorama to take photos of locos/wagons etc for customers and a backdrop for photos to send to magazines etc. So in about 30 mins I whipped up the base board for such a module out of some left DAR Pine from my layout build (layout no where near being completed ha ha) and measures 450mm deep (same as Wobbygong layout) and 600mm wide. So having completed it so quickly i thought to myself well, I have a little time up my sleeve and I can't bear to leave it bare! 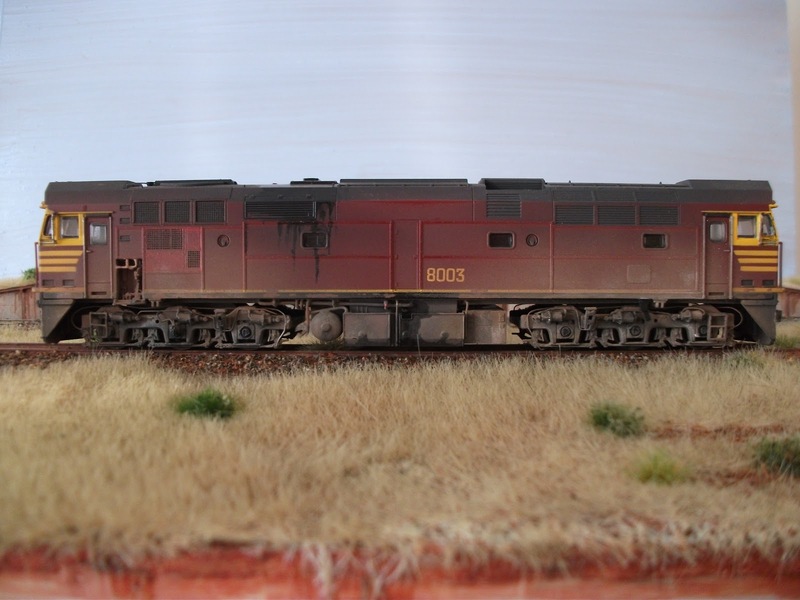 so I layed some track, trimmed a set of damaged point which i cut shorter to remove the damaged section. Poured some plaster to to do some ground work, once dry i painted the ground brown, sprayed with some diluted PVA and sprinkled some dirt, then did some ballasting, track weathering then came out the static grass, grass tufts and weeds and a set of buffers on the siding track and 'hey presto' in about 5 hours much of the scene was complete. Now I can here you asking 'where are the progress photos etc?'..... WELL that's why this post is called "Technology"!!! So i did take say roughly 30 shots of the progress, then went to upload them last night and what do you know them memory card decided it wanted to go to technology heaven.... bitterly disappointed I found another memory card I had lying around (this one worked) and took some shout of the near complete module with previously featured 8003 (now all but complete) and previously featured 'Dirty Ferti' and a newly re-sprayed Trainorama 44, which was 44100 Tuscan which was stripped and changed into 'Red Terror' 4490. Anyway here are the pics! The static grass looks quite authentic! What products did you use? 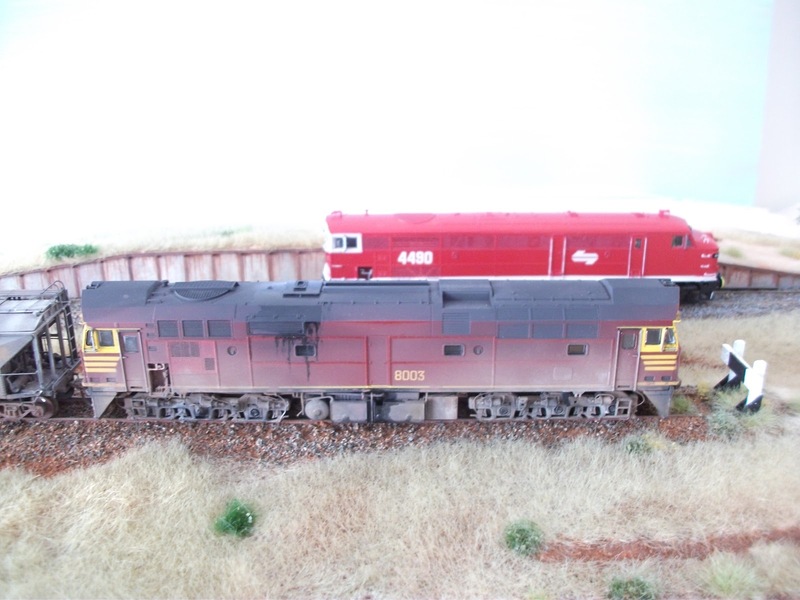 I used the Aussie scenics applicator which works a treat and the grasses used were Mininatur Autumn and beige and also some Aussie scencis dead grass. The tufts are Aussie scenics, noch and Mininatur. The yellow flowery bits are from Woodland. Came up pretty sweet i thought.